Hi I'm attempting to use a recovery image to restore a Windows Surface Pro 4. The image was pulled from a different device and is being applied to a new Surface Pro. It will boot from USB into the recovery media and has no problem running the recovery. I get no errors and I've made sure I've unchecked "Inject Device Drivers". Before I had this checked it would boot to a BSOD after the recovery ran. Now with it unchecked it will automatically boot to UEFI regardless of the boot sequence. Is there anything I can do to bypass this? How recovery was performed? Did you erase existing disk layout? The image was pulled from a different device and is being applied to a new Surface Pro. Are you saying that backup file was taken from another machine (or Recovery Media was created on another host)? Thanks. Yes I reformatted the disk through Veeam Create Media program. The backup file was taken from the users original surface pro and is being applied to a new surface pro. 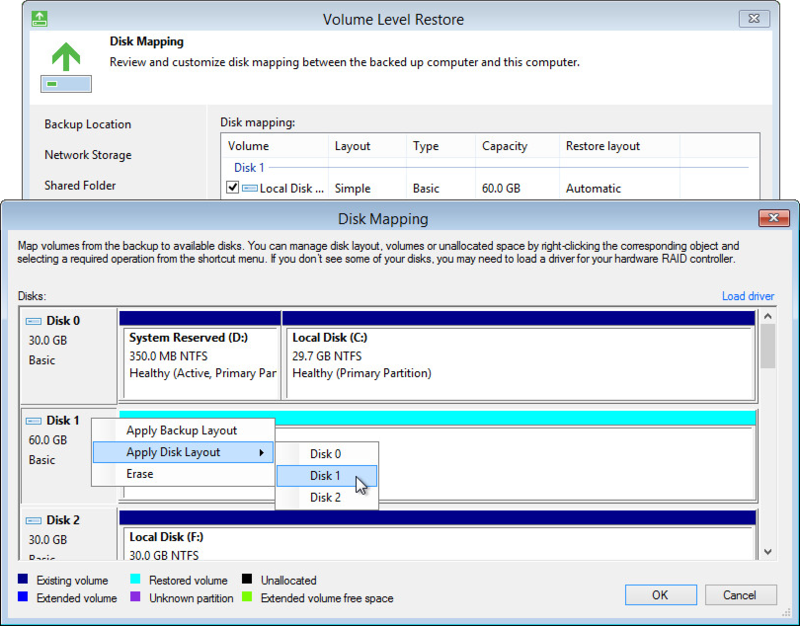 Did you restore all partitions including the EFI partition (Apply disk layout option was used)? That worked thank you very much!